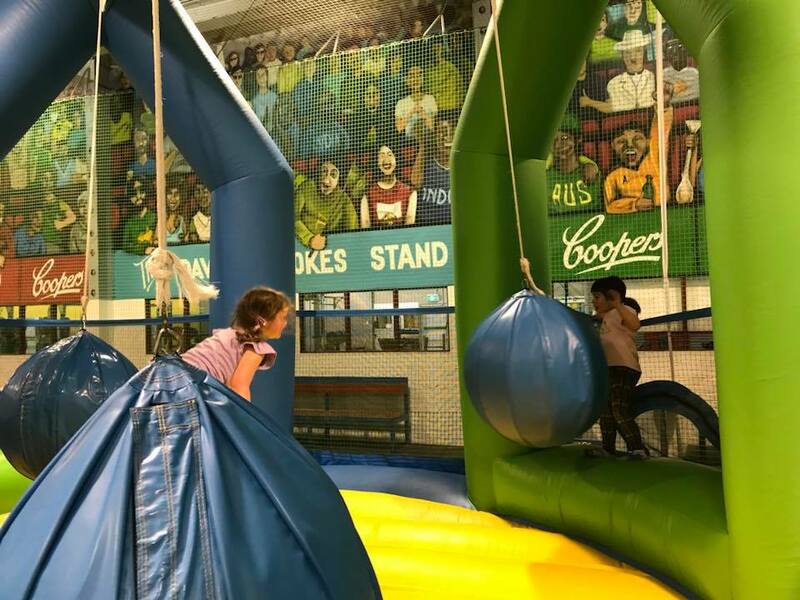 On arriving, Miss 4, her 5 year old and 2.5 year old friends started off in the younger children’s area which is located at the rear of the centre. 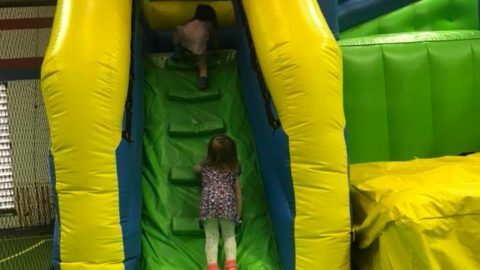 The floor here is almost entirely covered in foam mats and the inflatables are all smaller sized so little people can easily climb on. 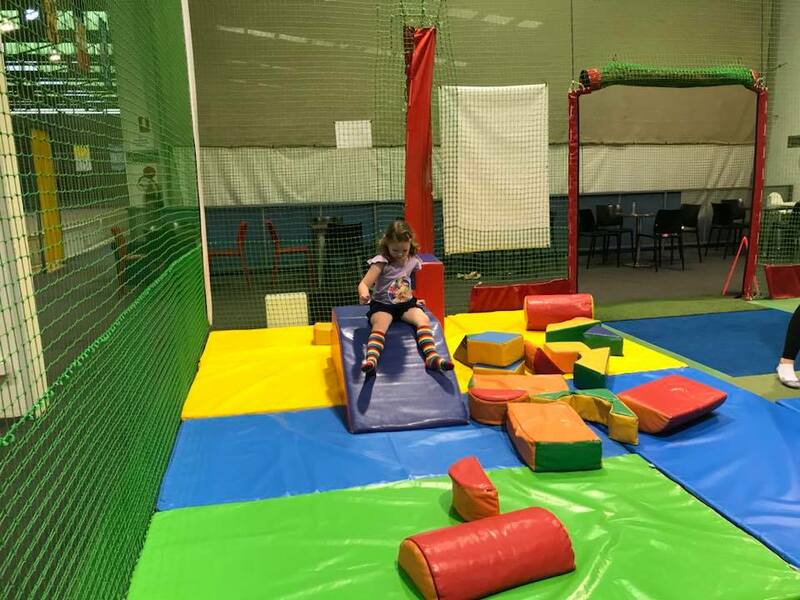 There is a handful of soft foam blocks towards the front so babies and young toddlers can play and climb and not miss out on the fun. The first inflatable inside this area features the Inflatable World sumo logo and is domed with a slide to exit. All three of the girls loved this one, taking turns and giggling as they came down. An inflatable basketball game and a handyman themed inflatable were next. The girls all loved the basketball game, all trying to throw the balls through the hoops. I think this was Miss 2.5’s favourite. 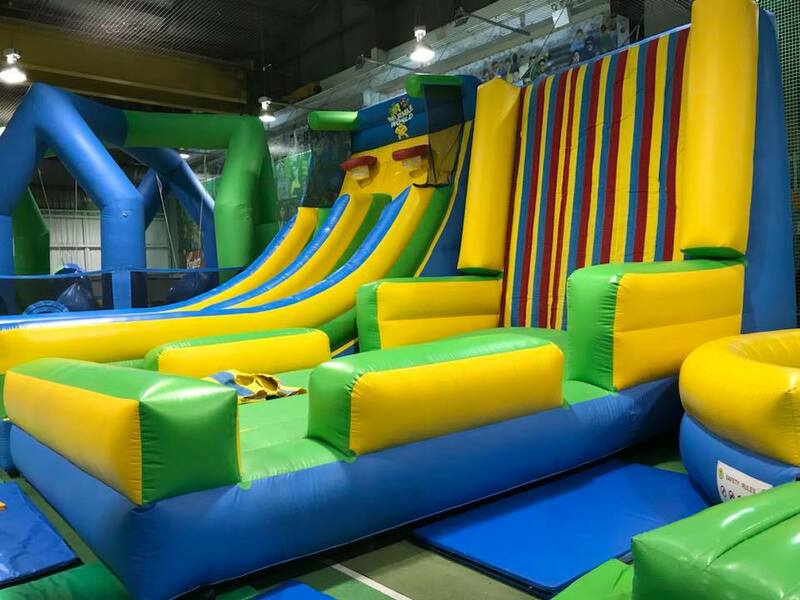 The final inflatable in the younger section features two tall slides with steps up the middle. 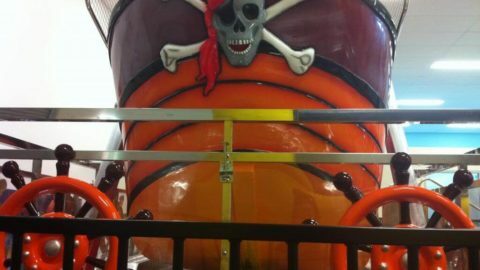 Miss 4 and Miss 5 climbed and played on this one many times with lots of squeals and giggles of delight. For the older end of the younger age range, this one was a clear winner! The older two girls ventured into the older kids section to explore. 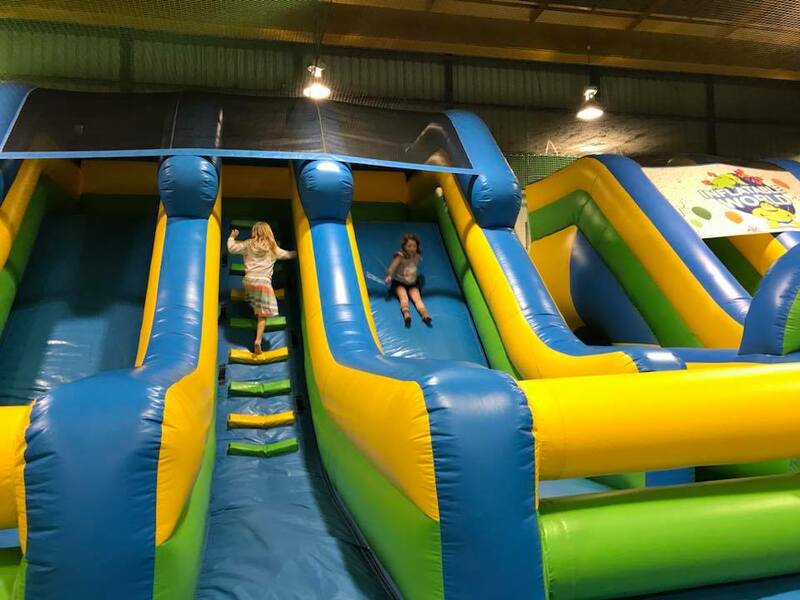 Many of the inflatables here are designed for more confident kids with more climbing strength, but the girls still found things they could enjoy. Miss 4 was adventurous and tried an island hopping type inflatable with some other kids. 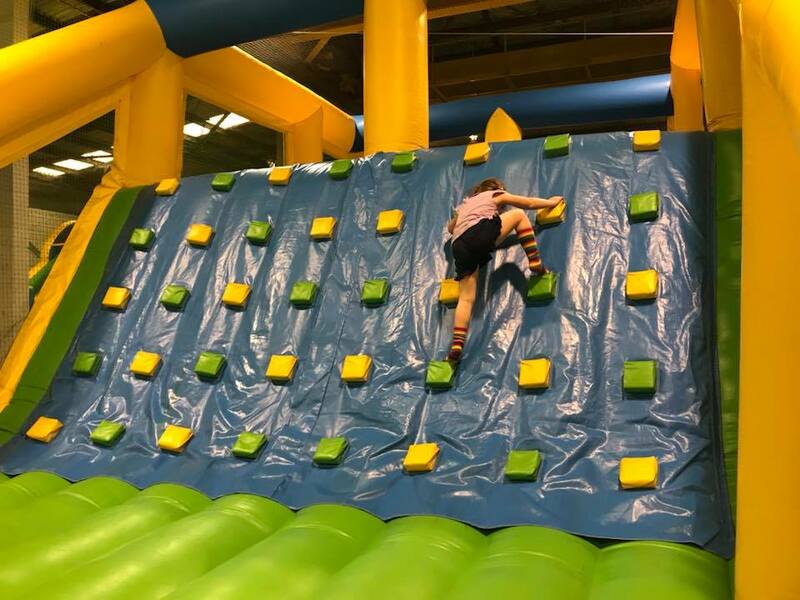 Children climb onto a jumping platform on the end and then try to jump across four “islands” without slipping off. The first attempt, she only made it across two islands. But the next two attempts she made it all the way over and proudly conquered the challenge. 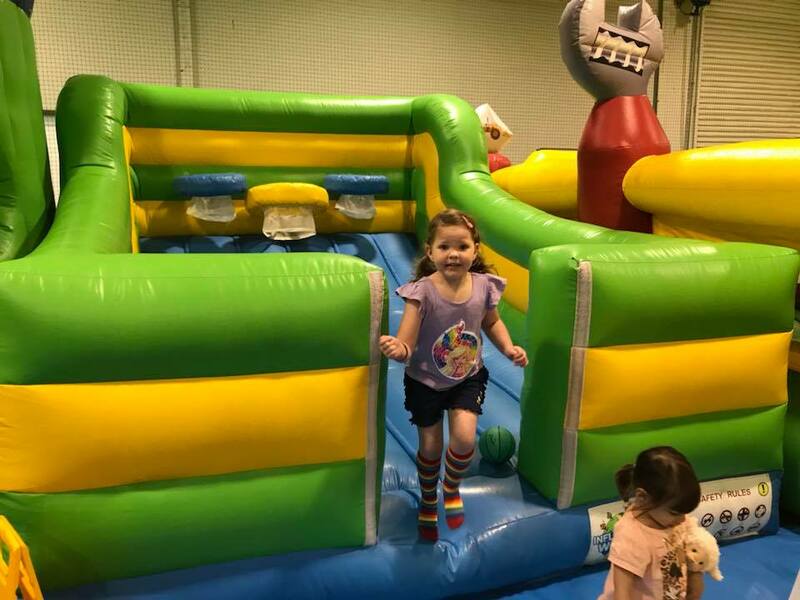 The next large inflatable she tried was an obstacle course, with two “rock climbing” walls to scale, one at each end, and inflatable pillars and obstacles to navigate in the middle. Being a kid who loves to climb, she soon had this one beaten. 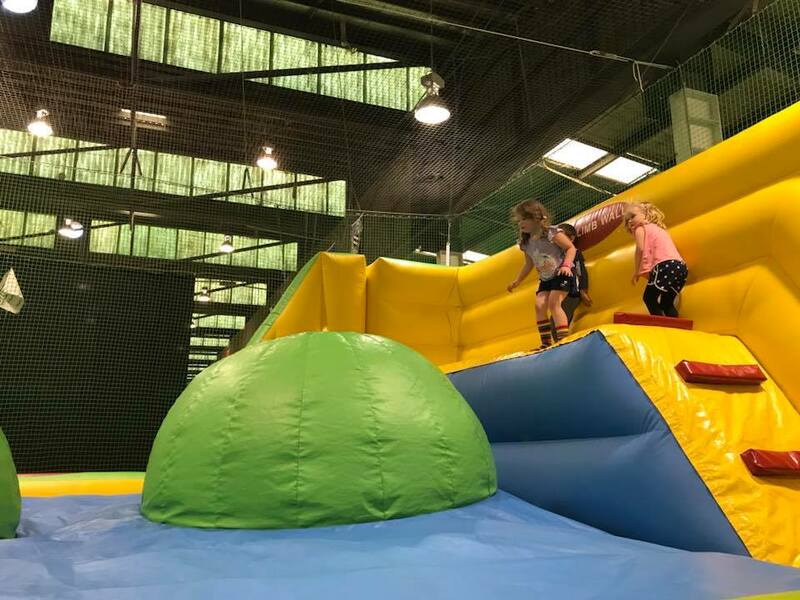 Another inflatable in this section that captured both older girls attention was a “Wipe Out” style game with a platform in the centre and swinging balls around the outside. I believe the idea is other players swing the balls and try to knock the player in the middle off balance. The kids had fun making up their own games, swinging the balls at each other and dodging. 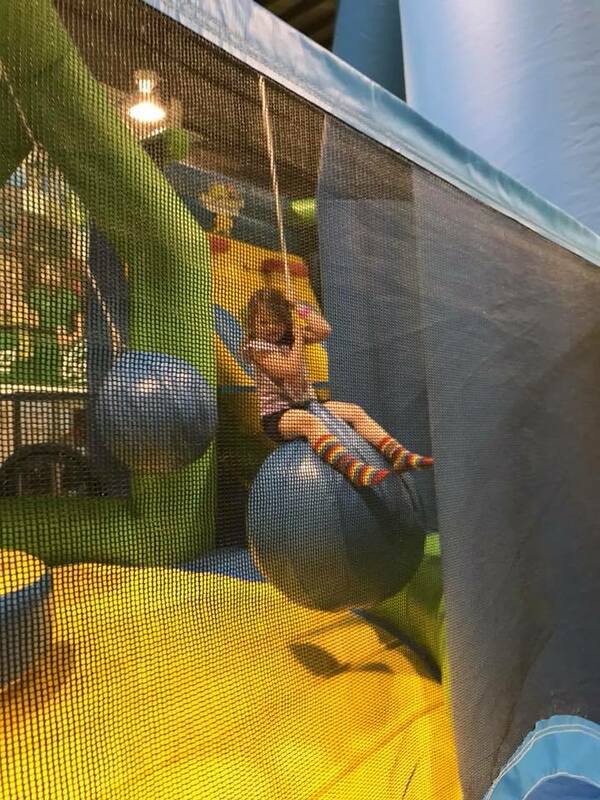 Miss 4 at one stage even tried to channel Miley Cyrus with some Wrecking Ball action – just a tip kids, don’t do it! She was promptly told off by one of the many staff supervising. Oops! Included in this older section are a couple more slides. One is another straightforward stairs in the middle with a slide either side, while the other has an obstacle course to race through before you get to the stairs and can slide. 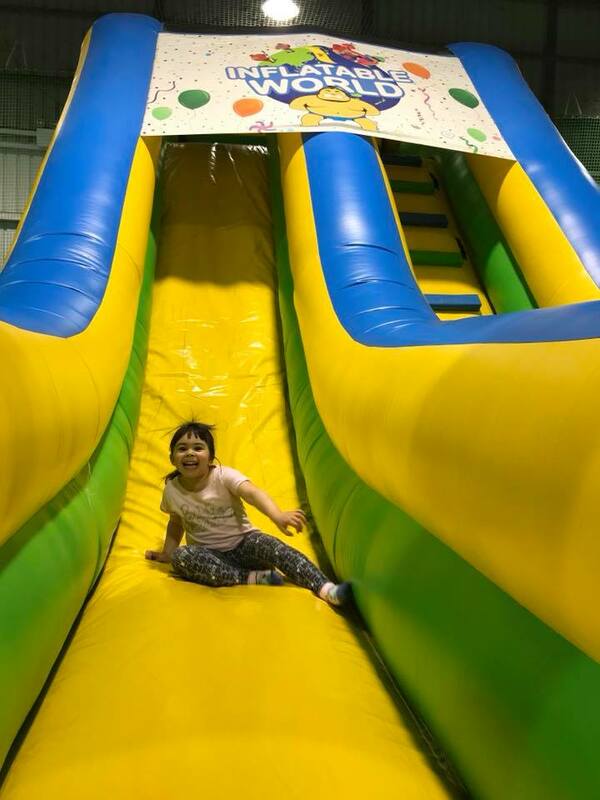 The girls both enjoyed these, and these slides would perfect if you’re visiting with kids of varying ages. 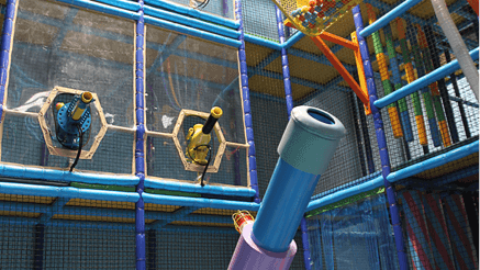 Little ones can play while you’re still close enough to keep an eye on your bigger kids. 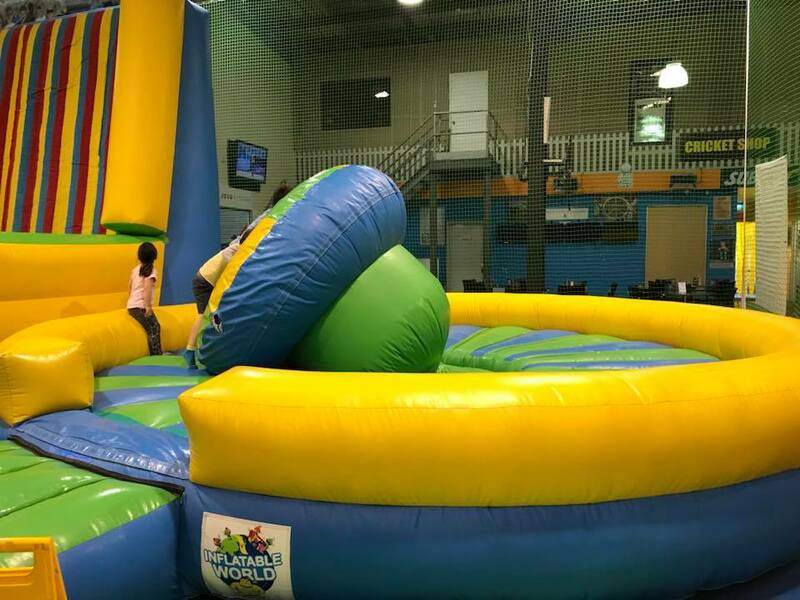 Other games for older kids include a Velcro wall and a taller basketball game. 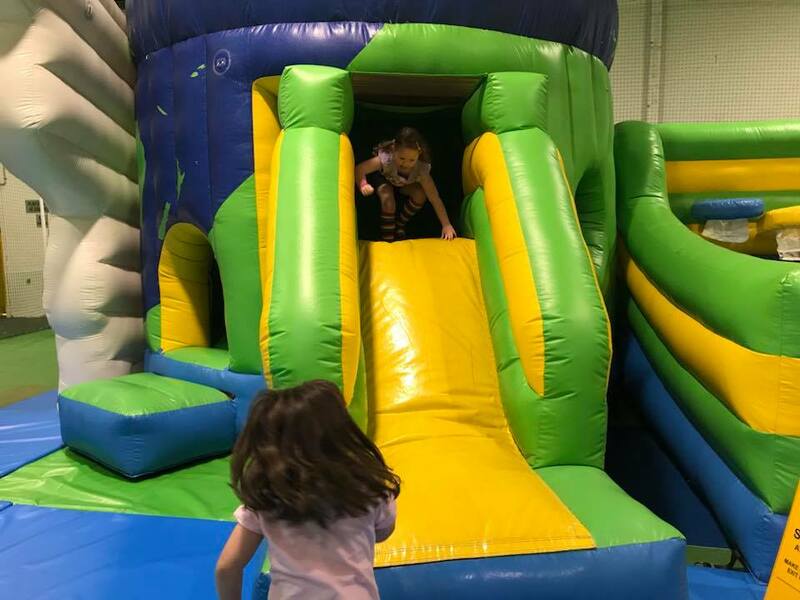 As you can guess with the Velcro wall, the kids put on Velcro suits and bounce around to stick themselves like a fly to the wall. The basketball game is like a larger version of the little kids game but with a slippery wall beneath the hoops. One last inflatable game involved a mushroom shape surrounded by a circular wall. The idea is to balance and climb up on the very wobbly mushroom. This was a bit too tall and tricky for our younger kids, but they gave it a go with some older boys who would have been around 6 and 8. This one is definitely one to supervise closely, as smaller children could become pinned under the mushroom as it tends to roll around whilst being climbed. 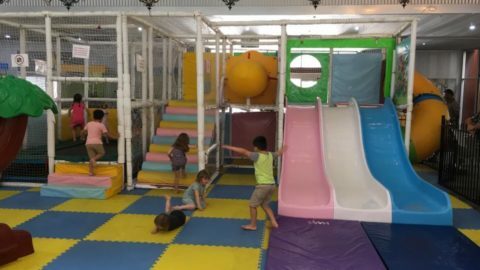 In addition to fun bouncy games, Inflatable World Shenton Park has a cafe available for lunch, coffee and snacks at the front of the centre which doubles as their ticket counter. Seating is available directly outside the older kids area and a handful of tables are set out outside the toddler section. Meal options are simple: hot chips, a cruiser pie, a giant sausage roll, a toasted sandwich or a small or large pizza. There is also an option to order warm mini donuts, various lollies ice creams, and cold drinks. Coffee or tea options are also available for adults needing to top up their caffeine levels. Inflatable World also seems fine with you bringing in outside food like a packed lunch, as I did with Miss 4 on the day. 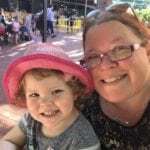 The girls with us enjoyed hot chips, a toastie and a sausage roll, and Miss 4 and her bestie finished off our play session with an icy pole to cool down. 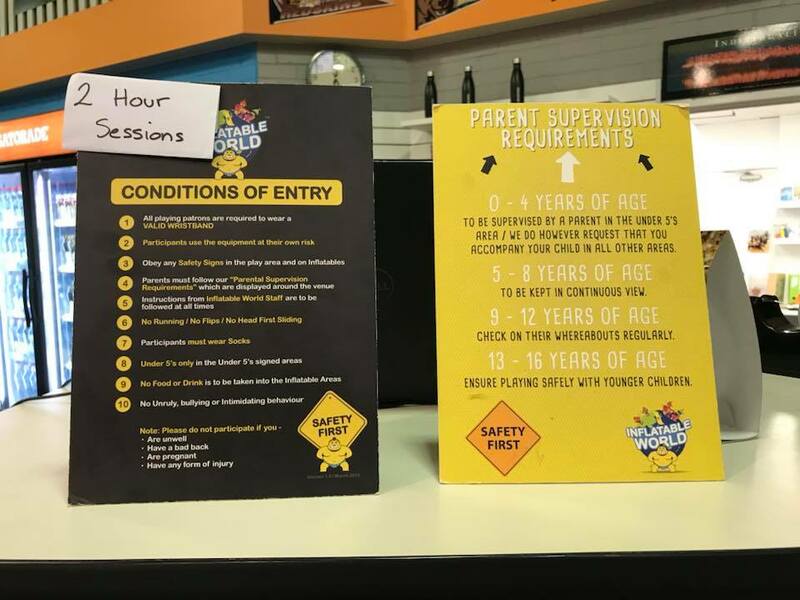 Party packages are available at Inflatable World Shenton Park if you’re looking for something a little different for your next party. 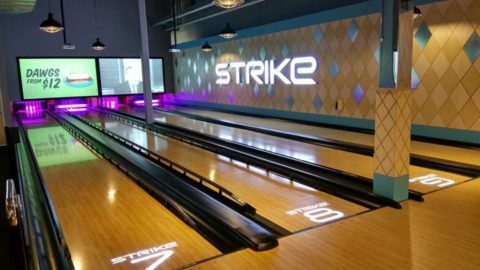 Prices start from $18 per child and you have the option to cater the party yourself if you are on a budget. Party bags can also be supplied for an extra $4 per child. 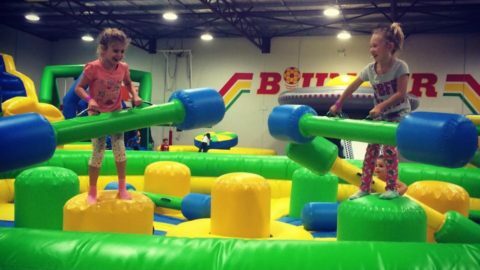 Entry just for a casual bounce around in a 2 hour session costs $8 for kids 4 years and under, $16 for kids 5 years and over, $16 for playing adults and $16 for kids 4 years and under with an adult playing with them. Spectators are free. 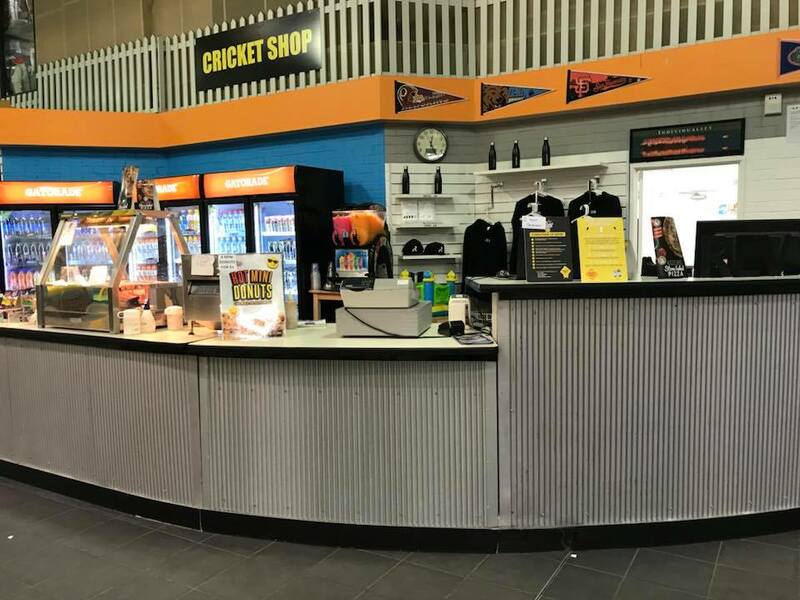 Located at 37 Lemnos Street, Shenton Park, inside the Revo Sports Centre. The driveway in is shared with Water Corporation and TransPerth and is just opposite the Shenton Park Dogs Refuge. 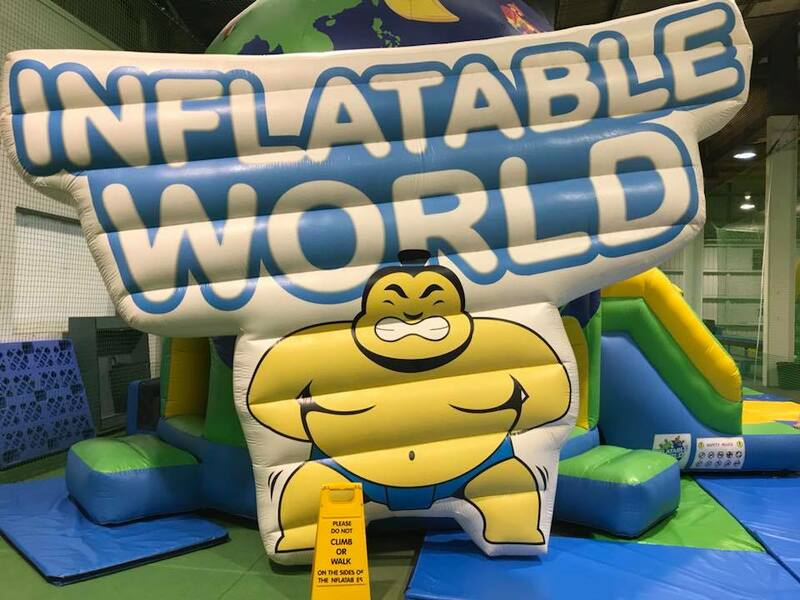 Inflatable World Shenton Park is open Monday to Friday from 10am to 3pm, and Saturday and Sunday from 10am to 6pm. closed public holidays unless otherwise specified on their Facebook page.